The Mindfulness Essentials series introduces beginners and reminds seasoned practitioners of the essentials of mindfulness practice. This time Nhat Hanh brings his signature clarity, compassion, and humor to the ways we act out in anger, frustration, despair, and delusion. In brief meditations accompanied by whimsical sumi-ink drawings, Thich Nhat Hanh instructs us exactly how to transform our craving and confusion. If we learn to take good care of our suffering, we can help others do the same. 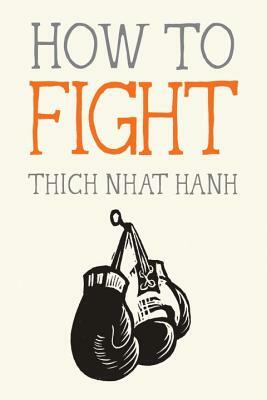 How to Fight is pocket-sized with two-color original artwork by California artist Jason DeAntonis. Thich Nhat Hanh is one of the most revered Zen teachers in the world today. His best-selling books include Be Free Where You Are and Happiness. He lives in Plum Village in southwest France. Nhat Hanh has been teaching the art of mindful living for more than 70 years. Jason DeAntonis is an award-winning polymathic Bay Area artist, known for his fine carpentry and detailed woodwork. He has also worked in sculpture, costume design, glass blowing, painting, printmaking, and book illustration. His work has appeared in Mindfulness in the Garden and The Mindfulness Essentials series, among others. He lives in Berkeley, California.